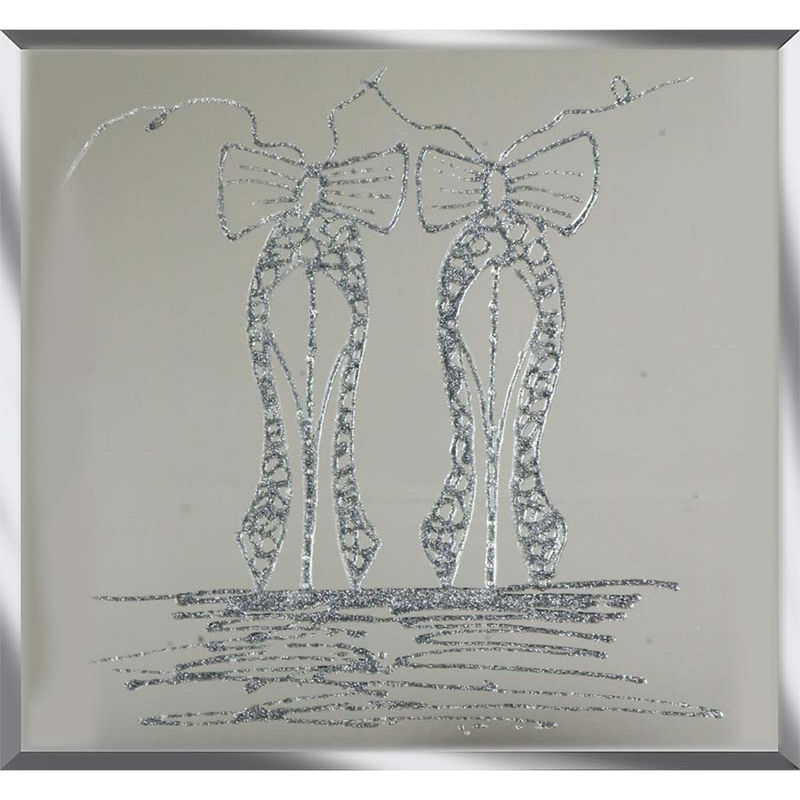 Welcome our new and beautiful Silver Glitter Ballet Shoes on Mirror piece to your home. This modern piece would look amazing with any interior or decor and with the artist decorating this design with glitter it will also add a chic style to your home. Hand finished in the UK and you can custom size your purchase to your desire. You wont fail to impress with this design.